Okay guys, I LOVE ordering on Amazon. I order everything and anything from Amazon. 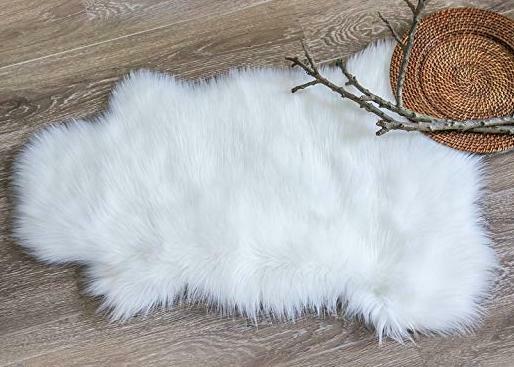 It is so fun to scroll through Amazon and get inspired by all the unique & inexpensive things that I find. 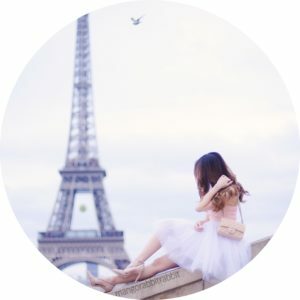 Lately, I have been searching for cute home decor items to spruce up my house! I love this simple white rug. It is perfect to put in your bedroom or to throw over your desk chair. It is super trendy and cute. It’s also only $16.99 Canadian! 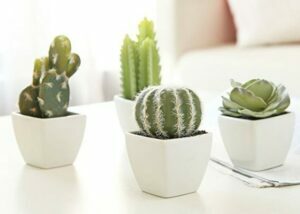 These plants are so cute and I want them so bad!!! They are perfect to put in your kitchen or on your desk to spruce up your space. They are $19.99! This boho chic bohemian art decor is perfect for a bedroom or dorm room if you are moving back to school! It adds a bit of personality to your room and it costs $19.99 too! 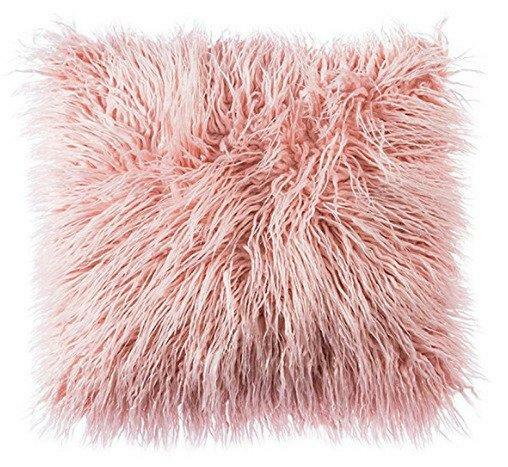 I am going to order like 20 of these furry pink pillows! They come in lots of different colours and they are perfect for your couch or bed. They cost $13.99! 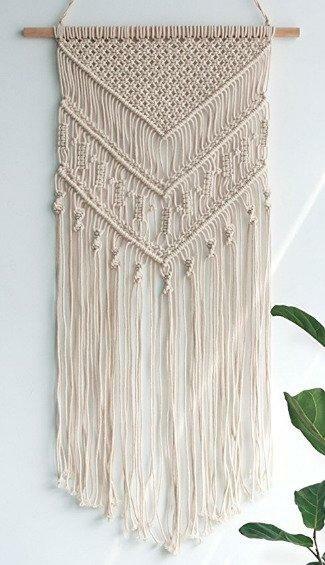 I love tapestry’s because they are so easy to hang up and switch up depending on the season. 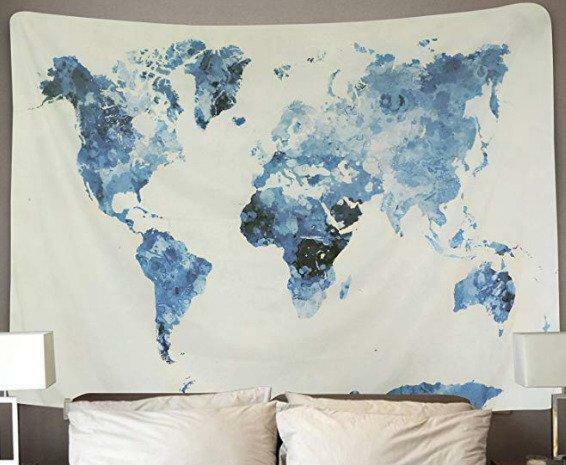 This blue map tapestry is perfect for all you wanderlust babes that love travelling! It is only $14.60 and it is definitely a lot cheaper than Urban Outfitters! 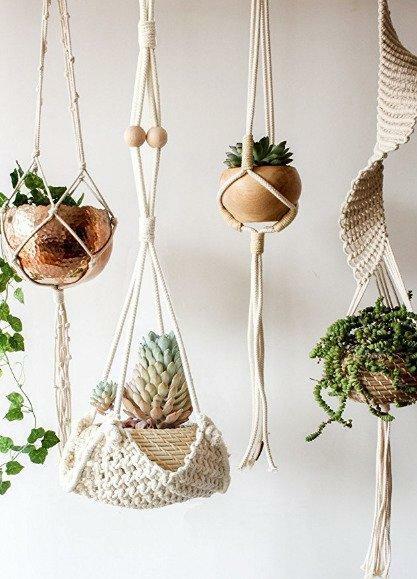 These hanging plants are one of my favourite things that I found! They are so cute and bohemian. They would be perfect to put in a room where you like to do yoga or meditate. They cost $19.90! These light up letters are perfect gifts to give to your friends for their birthdays! (I want to buy one for myself). They cost $14.74! Those are 7 of my favourite home decor items from Amazon! 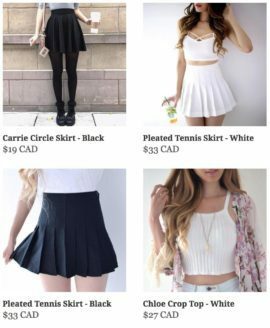 Most of them are fairly inexpensive in comparison to Urban Outfitters for example. Let me know which of these items you want too! These are so pretty! I’m getting a new house and looking for little items to accentuate my room! Thanks so much for sharing your beautiful house with me! !